No one likes getting old. The body changes and our appearance changes. Neck and back pain are only two of the most persistent and nagging “joys” of getting older. Often, the pain has no cause. 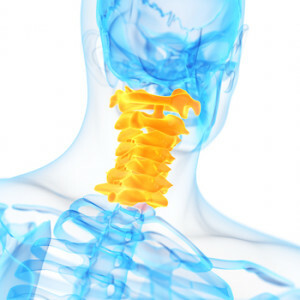 Cervical spondylosis is one of many age-related (beginning sometime after age 30) conditions, usually caused by the normal wear and tear of the vertebrae and discs in the neck. Many people are asymptomatic, or the pain tends to come and go. Usually, however, people feel pain and stiffness in the neck. Physical activity or long periods of inactivity can exacerbate the pain. Arthritis is one of the numerous conditions that causes this pain, along with spinal stenosis and degenerative disc disease. What Are Some of the Causes and Symptoms of Spondylosis? Dehydrated and herniated discs: Discs are the cushioning material that sit between the vertebrae and the spine. After age 40, the disks begin to shrink and lose fluidity, which leads to bone-on-bone contact and discomfort. In addition, the exterior of the discs can crack, which leads to bulging or herniated discs that press on the vertebrae and cause pain. Ligament stiffness: Ligaments connect the bones. As people age, the ligaments lose flexibility, which can lead to neck pain. Bone spurs: Degeneration of discs sometimes results in the body producing additional bone. The spurs can exert pressure on the spine, which causes a decrease in flexibility in the neck. Neck Pain: The pain, while localized in the neck area, could spread to the shoulders and the base of the skull, making neck movement difficult and painful. The pain can also radiate down the arms, to the hands and fingers. The pain may not be constant, coming and going for no apparent reason. Headaches and Tingling: Because of pressure on the nerve roots, headaches can develop just above the neck and travel through the skull to the forehead. An irritation of the spinal nerve can result in a feeling of “pins and needles” in the arms and hands. If you experience any of the symptoms detailed above, you should consult with a doctor who specializes in treating spinal disorders. An examination by your doctor should consist of testing the range of motion in your neck, evaluating strength of reflexes and muscles to determine if there is pressure on your spinal cord or spinal nerves, and observation of the way you walk to see if any spinal disorder is having an effect on gait. Your doctor can help treat and manage your pain with the ultimate goal of keeping you active and pain-free. Dr. Jonathan Lewin, MD, at The Center for Spinal Disorders is an experienced spine surgeon specializing in the latest techniques. He is adept at individualizing care for each patient and can speak to you about Cervical Spondylosis and the appropriate procedures to treat the condition.